Two or more Documents Attached to CRM Email using Word Templates. There are occasions you need to Email two or more documents generated from two or more CRM Word Templates with one Email. Emailing one Email for each document, both Emailed to same recipient or list of recipients, is not the preferred option. The content of the two documents can be related to each other and one expects the receiving all documents attached to one Email, arriving together, and read and responded as such. Generating documents from CRM Word Template with content from fields and attributes of CRM record is well-known and powerful feature of Dynamics CRM. PDF the documents, save to hard disk, create new Email and attach the PDF files to an Email, is more complex, and can not be implemented with CRM Workflow. Dynamics PDF-Docs, is the most in use tool for CRM users to create documents from CRM Word Templates, PDF and attach the document to Email, Note, and SharePoint, from the user interface and with scheduled workflow. 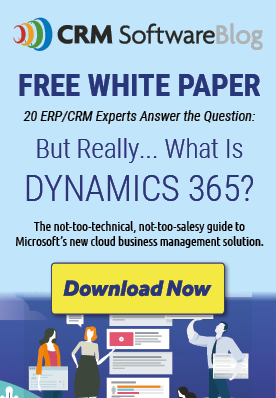 Click Here to Download Dynamics PDF-Docs FREE trial. To create a workflow to send Email with two or more documents, you start with the workflow step “Create Email”. You create Email, do not use Send Email as then the Email is sent before documents are attached. SetWordTemplate – This step generates Word document from a nominated Word Template set in the step properties. PDF-Docs:Add Word Template – This step PDF the document generated in the SetWordTemplate step, and attach it to the Email created in the first step. This set of two workflow steps can repeat itself for each of the documents you wish creating from Word Templates of the workflow entity, and attach them to the Email. In the properties window of “PDF-Docs:Add Word Template” step there is one important switch called: “Perform action and send Email now”. By default this switch is set True, as most workflows will only generate one PDF document attached to Email, and immediately send the Email. In our case, this switch should only be set to True in the last step only, as only then we wish to attach the last PDF document, and send the Email. In all other steps, this should be set to False. We want to attach the PDF document to the Email, and also leave it in Draft mode to allow the other documents to be attached as well.